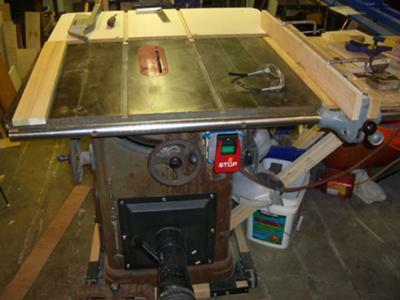 In 2004 one of my customers decide to do a huge clean up in his garage and gift me this table saw. It is a cabinet saw and look exactly as another that I saw here and the owner says that is from 1950. 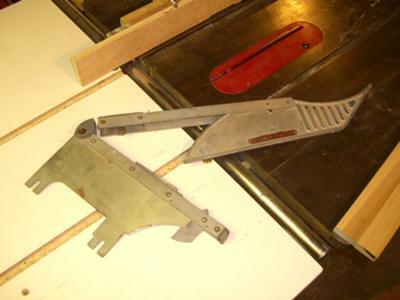 It was not in good conditions but I restored it and it works great, is very precise and I use it almost every day because after receive it I was changing my activity and today I'm doing furniture restoration. 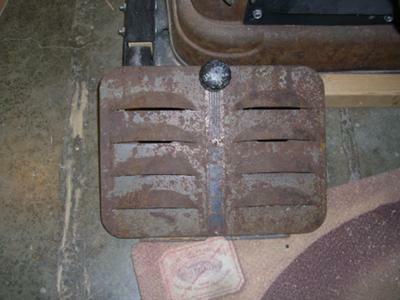 Now, my problem is that the blade cover(that works as cover and anti kickback tool) is broken and I want to find another, it's made of cast aluminum. And another, there is a motor cover for this machines? because I hear that there is some of cast iron? or metal sheet? If you or somebody can tell me about that parts can be great.